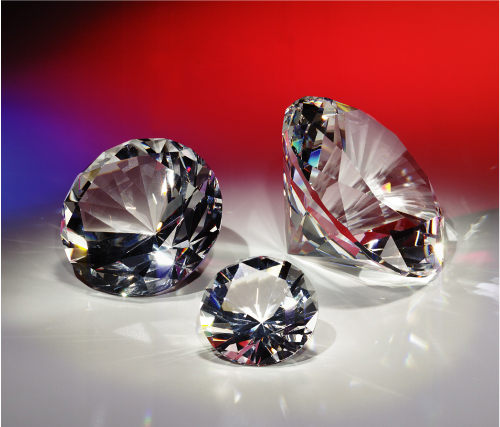 Beautifully crafted by CRYSTAL WORLD for any "diamond in the rough," "Diamond" features an optical crystal diamond. This figurine is a full, brilliant cut "diamond", using the highest quality raw materials and perfectly executed faceting. "Diamond" is a perfect gift or award for anyone, from loved ones to those in the corporate world who need a reminder of just how much they shine. Offered in several sizes, as seen in the adjacent photo.